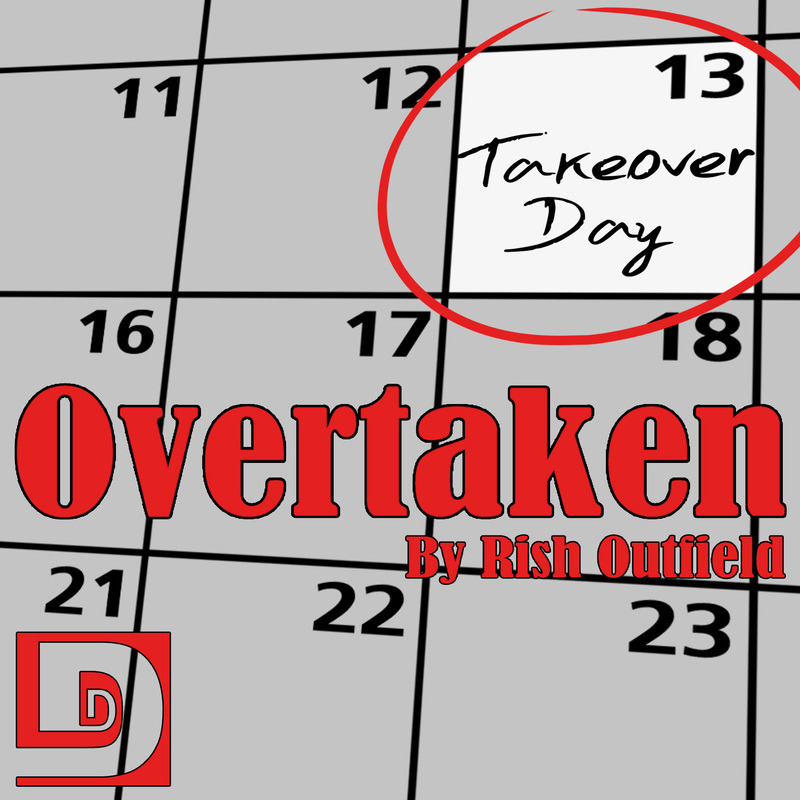 In our second episode recorded live at the New Media Expo in Las Vegas, Rish Outfield presents “Overtaken.” It’s Takeover Day in the town of Traysi, Arizona, and Nicole and Barry Dugger are unfamiliar with this particular phenomenon. But that doesn’t necessarily make them exempt from it. Special thanks to Dave Thompson (Podcastle Enforcer), Renee Chambliss, Abigail Hilton and Algar Van Cluth for lending their voices to today’s story, and to Gino Moretto for providing the artwork. Some sound effects from today’s story were provided by the free sound project. Today’s music was Hidden Agenda from Incompetech.com and Omnipresence by Dereleech. This entry was posted on March 13, 2014 at 11:17 pm and is filed under Comedy, Horror, Live Reading, Rish Outfield, Short Story. You can follow any responses to this entry through the RSS 2.0 feed. You can skip to the end and leave a response. Pinging is currently not allowed. Way to wreck it with politics. And contrary to what the Republicans say, making the rich richer doesn’t help anyone except the rich. Obviously, Mike, you’re a huge fan of the show. You’ve got me confused. You’re the second person to bring up politics (the other person did it on Facebook). Did we say anything about Republicans making the rich richer? I don’t remember that, but I guess I could be wrong. I assumed the other person was talking about the joke the guy in the story said about a naked man running around. Maybe I was wrong? This is what I said to her: “I believe that was a fictional character in a story that said that. They tend to have their own views, since they’re separate from the author’s who write them. However, I don’t think Democrats are so sacred that you can’t make fun of them anyway. Can they not take a joke? I think they can. One joke *in a story* and more than one person lashes out at us as though we were Republicans pushing some agenda (were not, but we’ll never say what we are, because it’ll only make somebody angry). That’s the reason we never talk politics. I want to know what happened next!!!! Does he clean the toilet?! Does he plunger his wife?! Funny story though. I missed anything at all about politics in the story. Unless nudists are now political? Meh.